I was super-excited last week when I received some fantastic Brickwarriors tribal islander parts from Customminifigsyndicate.com! 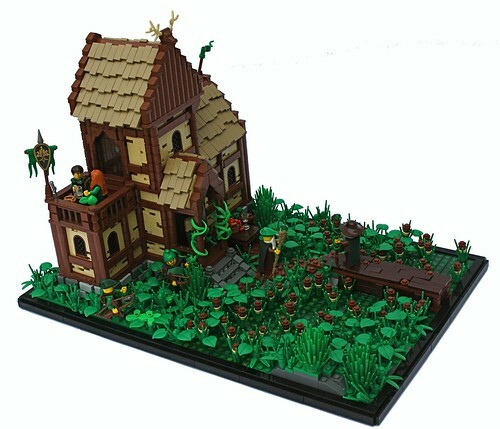 These are, without a doubt, some of the coolest Brickwarriors pieces I've ever laid eyes on! All the pieces laid out. The detail of each part is incredible! The theme is totally unique. The chieftain with his headdress, shield, and deadly "hunga munga." Restoring a River Guardian, Overview, a photo by Gary^The^Procrastinator on Flickr. 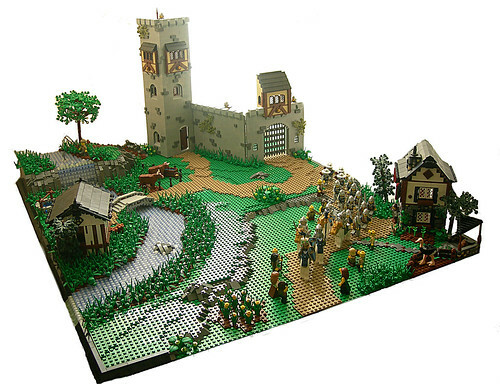 This excellently constructed scene by Gary the Procrastinator has some epic detail, but my favorite aspect is the super fig posing! Check it out on Flickr! 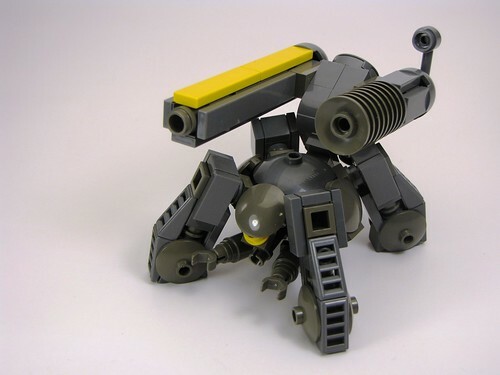 Heavykoma "YellowRail", a photo by cmaddison on Flickr. has such a unique style! The mix of new and old colors combined with round and square shapes is just too cool! Rampage in Suburbia, a photo by Karf Oohlu on Flickr. This fantastic and hilarious scene by Karf Oohlu excellently demonstrates how much detail and character you can fit into a 8x16 'vig. Bookshelf Safe | Video a video by Blake's Baericks on Flickr. 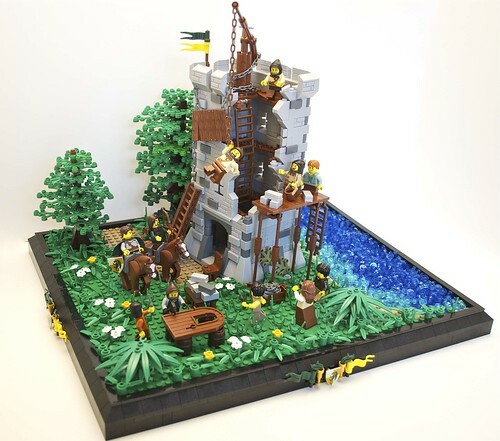 Some great Brickwarriors pieces from Customminifigsyndicate.com! I really liked the idea of a "Warrior pack". but also desirable to a long-time buyer like myself, because of the unique colors and designs. The colors very closely match official LEGO colors so that you can hardly tell the difference, even when looking for it. 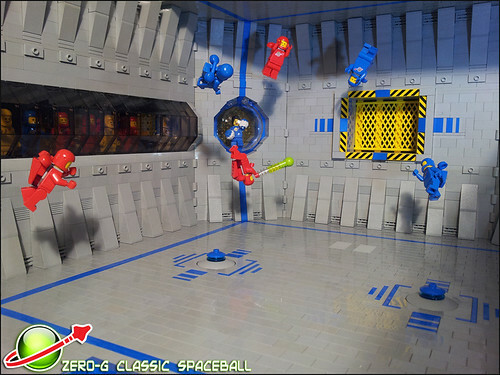 Zero-G Classic Spaceball, a photo by Heiwa71 on Flickr. 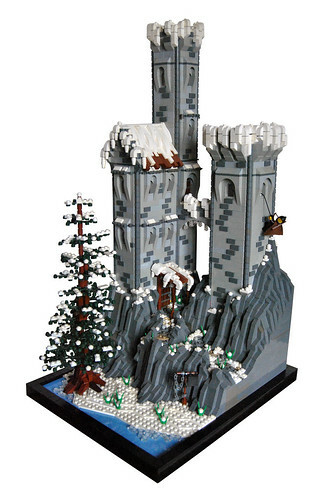 The figures seem to float about effortlessly in the classic style arena. 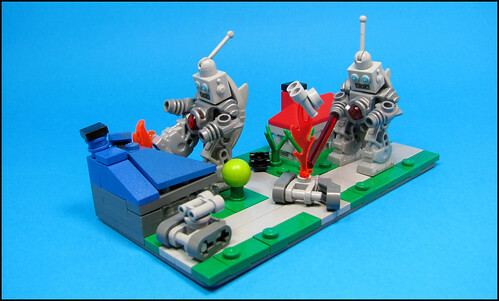 Tron - the GRID, a photo by Si-MOCs on Flickr. 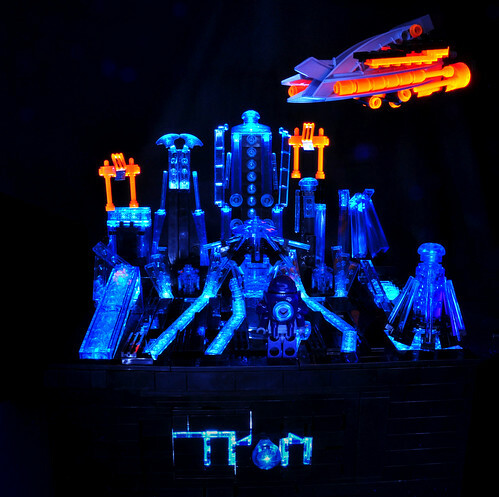 My initial response to this was "WHOA" Simon's Tron build is just too cool for words! It's life, Jim, but not as we know it., a photo by Bart De Dobbelaer on Flickr. Talk about awesome effects! Bart does them like no one else! And his alien creatures are epic in the extreme! Tavern in the Sloughy Lands, a photo by Simon S. on Flickr. Have a look for yourself on Flickr! Escape From Fort Vharenfell, a photo by Deviet on Flickr. 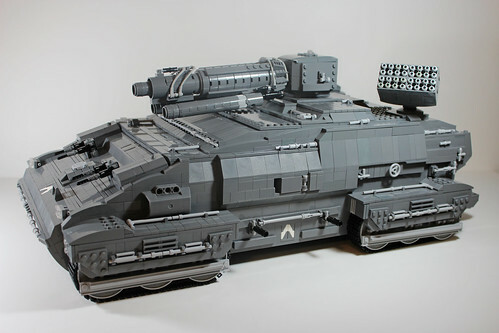 "Devastator" MCC, a photo by General JJ on Flickr.